I’ve been engaged in design, advertising and marketing my entire career. It’s a field that I love. I’ve created a wide variety of impactful, award winning work for global Fortune 500 companies. My focus has been on Automotive, Restaurants and Financial Services. In addition to marketing, I also have experience consulting with organizations interested in undertaking brand, digital and service transformation. Expertise: Brand Architecture. Brand Marketing. Brand Experiences. Performance Marketing. Digital Transformation. Channels: Video, Audio, Print, Digital, Experiential and Promotional. 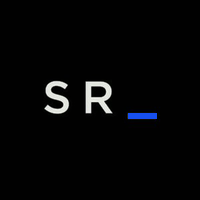 Skills: Marketing Strategy, Creative Development. Strategy and Service Design. Copywriting, Illustration. Project Management and Agile Methodologies. Interests: Design, Fine Arts, Music, Cinema, Politics, Science, History, Behavioral Psychology. I also enjoy Fly Fishing, Kayaking and an occasional hike. Geography: A lifelong resident of Massachusetts, I grew up in the Berkshires, and spent my college and early career in the Pioneer Valley. I eventually moved to the Boston area where I’ve happily resided every since. Joined Sapient after participating in the pitch that won the $40,000,000 Fiat Chrysler Account. Built a creative team from the ground up to redesign the Ram Trucks digital presence. Lead the Digital Advertising Team for FCA which involved the creation of campaigns for all makes and models including the Ram 1500, Ram ProMaster, Chrysler 200, Dodge Dart, and Fiat 500s. Won numerous creative award for content created for the Ram 1500 truck of Texas award including 7 short documentaries. Created video content for Sprint’s first global meeting after the Softbank acquisition. Sprint CEO presented it as a vision for the future. Developed brand architecture for the global rollout of a major financial brand. Participated in two Digital Business Transformation and Service Design initiative for two billion dollar Defined Benefit and Pension companies. Helped recruit and build the Boston Creative Department from 14 to 50 in 3 years. Brought in multiple cross-platform accounts to grow the marketing footprint of the Boston office. Recruited and nurtured the first Consumer Insights and Strategy team in Boston. Recruited and built the Video and Content creation team in the Boston office. Co-lead the Digital Business Transformation and Service Design Team in Boston and developed playbooks, training material and processes. I ran Yahoo’s Offline and Digital Advertising practices during a time of enormous changes in the advertising industry. Worked to connect the Digital, Direct and Broadcast channels of the agency. Created a global brand platform for Yahoo! including a first ever brand positioning and a new design language. Created Digital and Broadcast advertising for the launch of Yahoo! Answers. Established a global creative panel to roll out the new position including a global summit in New York. 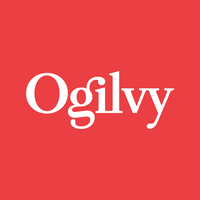 Built a full-service capability in the Ogilvy San Francisco Office and recruited leadership to lead the office. Shared creative leadership on Arnold’s important McDonald’s franchisee business and helped grow the portfolio from the New England region adding New York, New Jersey and CT, Philadelphia, Mid-Atlantic, and Minneapolis. Pitched an won the Volkswagen of America account and held creative leadership duties on all Brand, Retail, Direct, Promotion and Digital. Launched the iconic New Beetle as well as the Touareg SUV and two generations of the Passat and Jetta. Won numerous national and international creative awards including the Cannes Gold Lion. Volkswagen propelled Arnold into the national spotlight and lead to enormous growth over that period. Built Arnold’s Interactive studio and Brand Promotion capability well it’s design business. Helped fuel growth that eventually lead to Arnold’s sale to Havas in the early 2000’s.